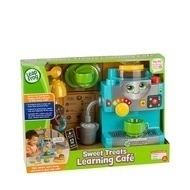 Serve up learning with a double order of fun! 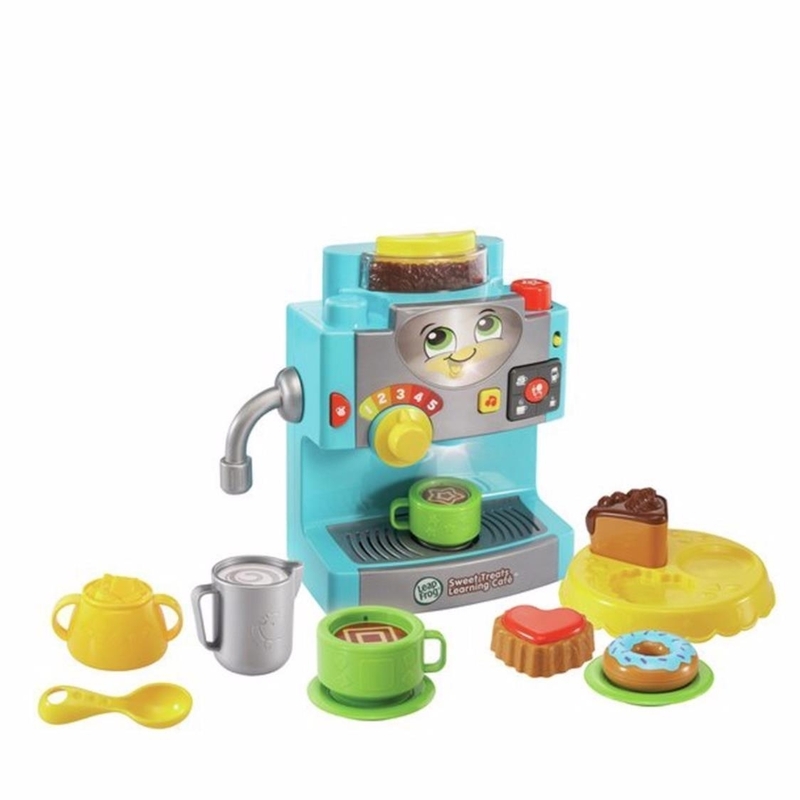 Fill cups, complete customer orders and serve up tasty-looking pastries while learning numbers, shapes, colors and sizes and running your own café. 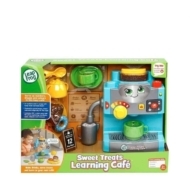 - Pretend to be a barista at your very own café. - The coffee machine lights up and plays cool sound effects, music and fun phrases. - The coffee maker recognizes and announces drinks, sizes, and the temperature from 1 to 5. - Learn shapes while serving up tasty-looking pastries shaped like a triangle, circle and heart. - Fill customer orders for drinks and pastries and get feedback. - Cups "magically" fill when you place them under the drink dispenser and press the big red button. - 10 interactive buttons and one interactive temperature dial will keep kids laughing and happily busy. - Set includes two coffee cups, three pastries, three plates, a milk pitcher, sugar bowl and spoon.